Brussels, 10 January – Platform experts lead by Paweł Ukielski, deputy director of the Warszaw Uprising Museum, in presence of Platform President Lukasz Kamiński, held guided tour for 7 MEPs from the EPP Group on 10 January. 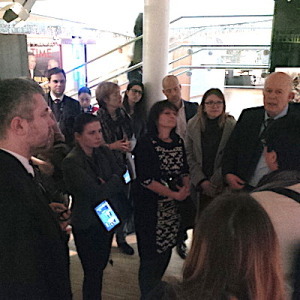 Members of the European Parliament visited the permanent exhibition of the House of European History (HEH) with a number of Platform experts who recently introduced critical report on the exhibition. The MEP group included Michaela Šojdrová (CZ), Pavel Svoboda (CZ), Milan Zver (SI), Sabine Verheyen (DE), György Schöpflin (HU), Bogdan Wenta (PL), and Algirdas Saudargas (LT). 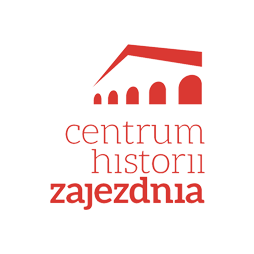 The report concludes that the House of European History project fails to present European history in three dimensions: structure, concept and facts. As a result, visitors are offered ideologically biased, chaotic narrative with a number of shortcomings, even falsifications. 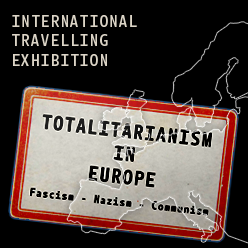 Instead of comprehensively presenting common European history, the project seems to be overshawdowed by narrow-minded Marxism-rooted concept. The report on HEH by the Platform experts is available here. ← Best wishes for a happy, peaceful, successful and fulfilling New Year 2018 from the Plaform!